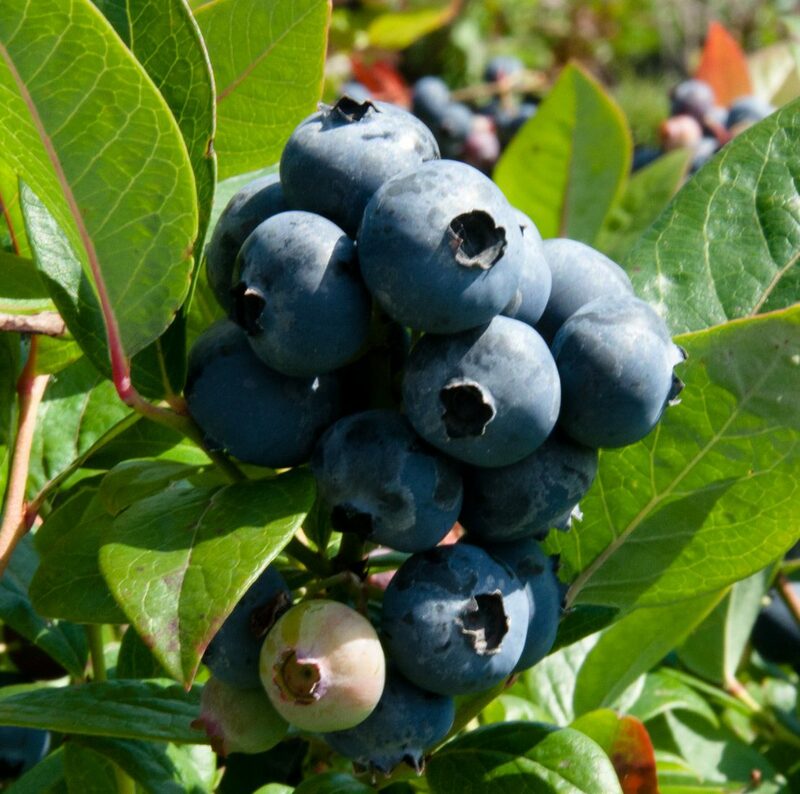 Patriot is a robust and high-yielding blueberry bush. It is very resistant to severe winter cold (up to -29°C) and blooms early. Patriot bears large, light blue fruit. These ripen in stages and the quality of flavour is good. Good insect pollination is required. Of the early varieties, Patriot is particularly recommended for the family garden due to its hardiness and its spectacular, vibrant orange foliage in autumn. It is worth noting that this is one of the few varieties that is resistant to phytophthora. This variety of New Zealand origin has many advantages. It is very vigorous and can thus adapt in less favourable soil conditions. 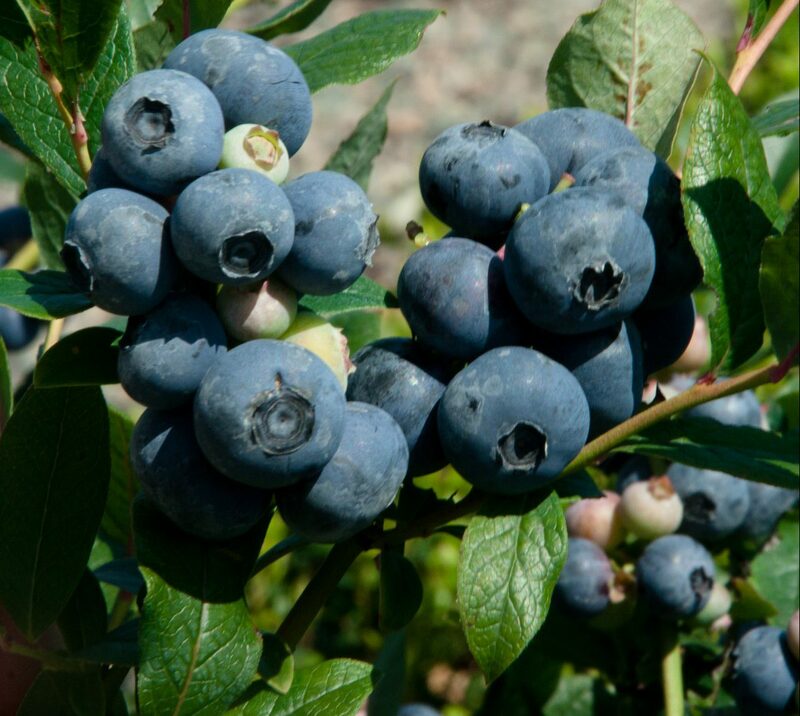 Its blueberries are known for having a pleasant woody aroma. Its upright, naturally branching shape makes it a beautiful plant. Collins is a vigorous and productive plant with an upright and slightly spread out bush. It is a variety that is capable of adapting to more challenging soils. Fruit are of a good size with a flattened shape, and quite dark in colour. They are very aromatic and have a slightly tart taste that consumers tend to like. Its stems turn red in winter, making it a very attractive plant. 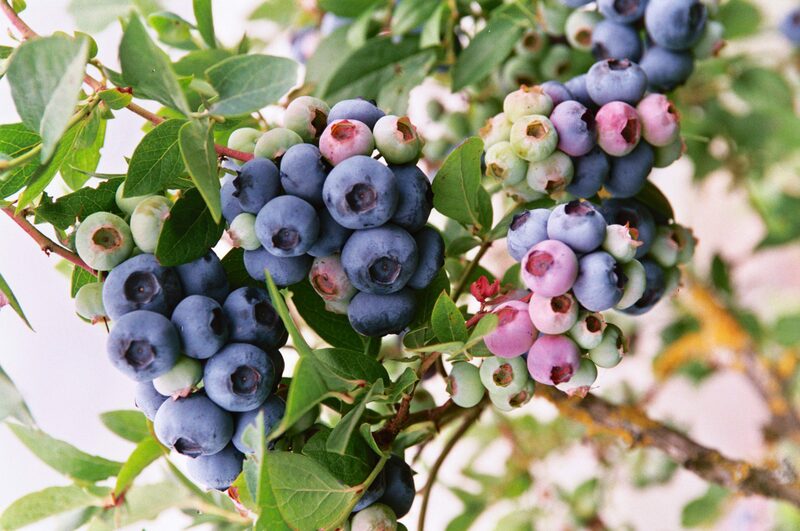 Bluecrop is still one of the most commonly planted varieties in the world. It is a relatively vigorous and very upright bush. Fruit are medium to large in size with a slightly frosted appearance. Ripening is staggered over 5-6 weeks. In Angers (France), it crops about 2 weeks after the Bluetta variety. 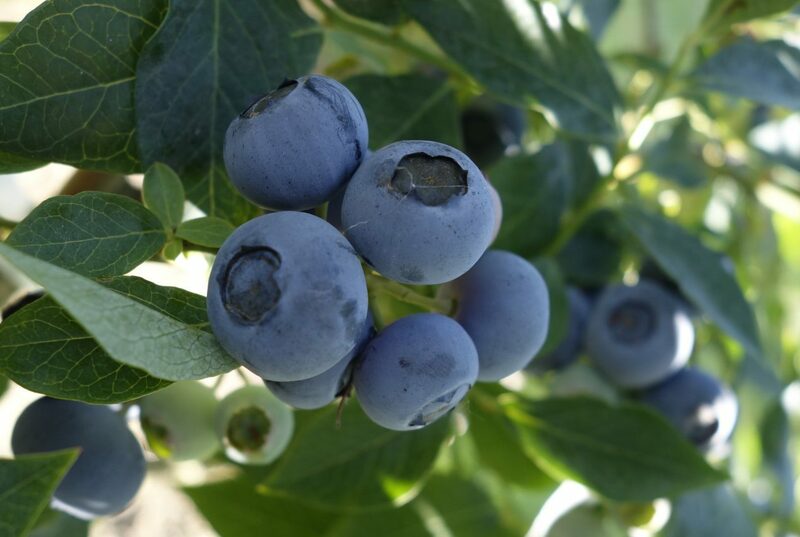 Bluecrop is considered to be an excellent mid-season variety and a go-to for high-yield production. Pink Lemonade is a new pink-fruited Vaccinium ashei hybrid, from a cross produced by Mark Ehlenfeldt (USDA) in Chatsworth, New Jersey. Fruit are medium sized, bright pink, and have good firmness and flavour. The plant is compact and upright. Foliage is bright green and semi-persistent. The Pink Lemonade variety is hardy and vigorous and thus promises to adapt well to many types of soils and climates. Its fertility is not precisely known, but like a number of other Rabbit-eye varieties, it is possible that the Pink Lemonade is not fully self-fertile. 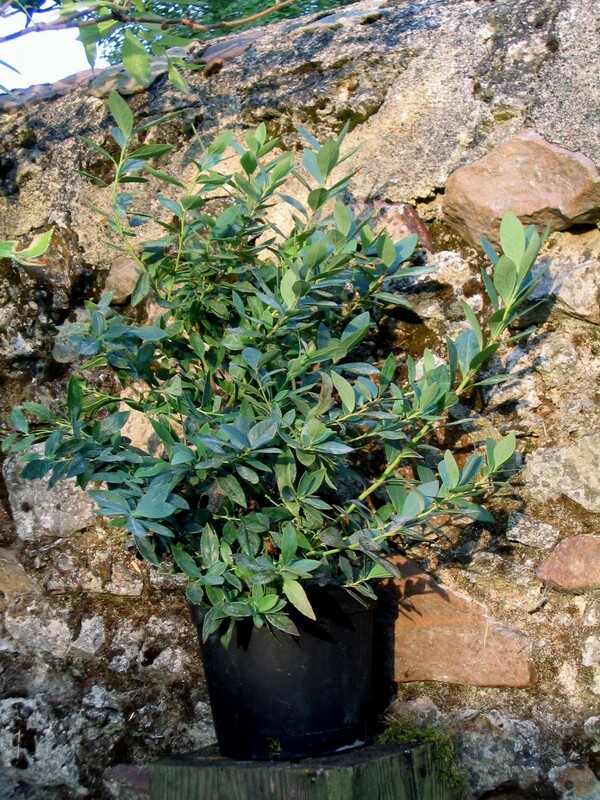 It is recommended to plant it alongside another Vaccinium ashei. This upright and slightly spread-out variety is extremely hardy and vigorous, growing up to 2.5 meters tall. 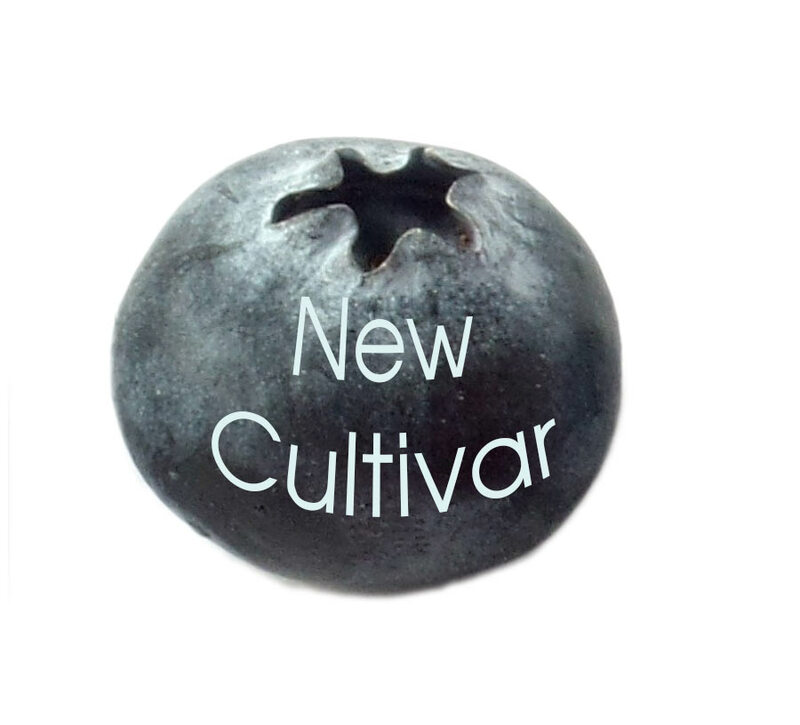 Developed especially for the family garden, it can adapt suitably in difficult growing conditions. 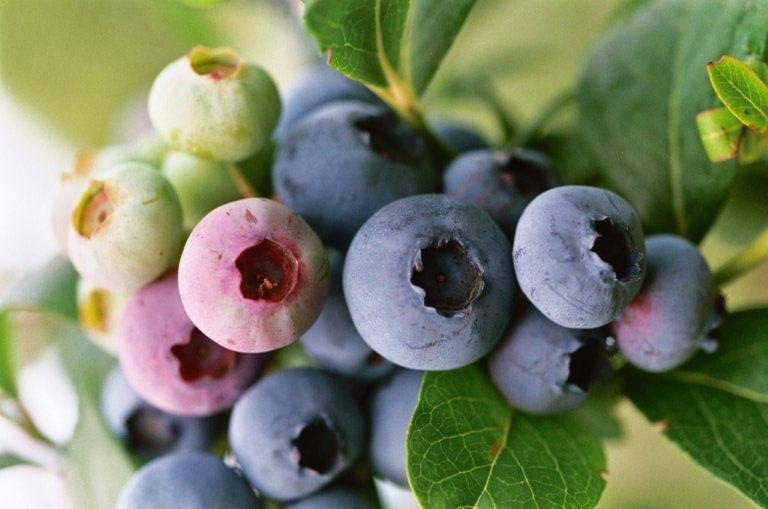 Its blueberries are small, black and very sweet. Our Atlantic and Jersey plants are twin varieties. The varieties were probably mixed in the past by one of our peers and are nowadays indissociable. 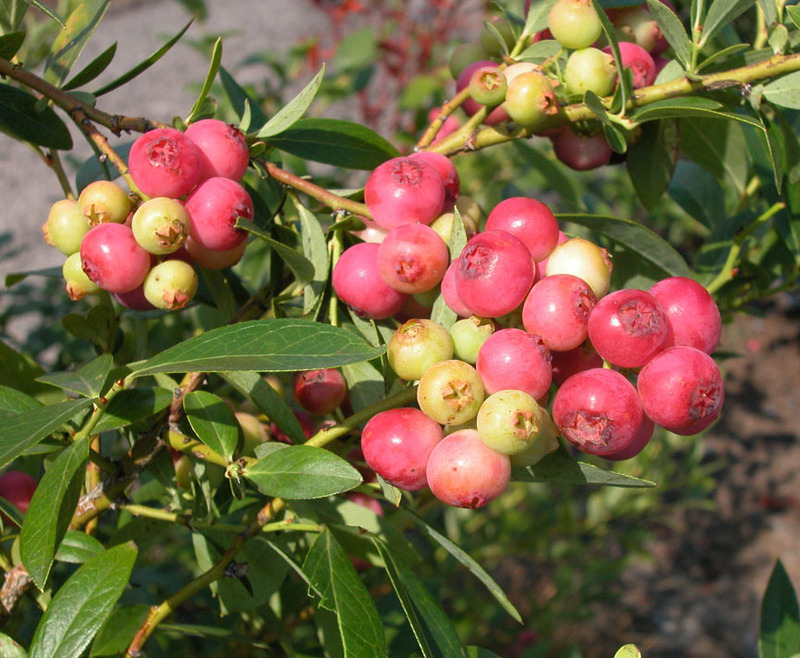 Chandler is a vigorous, upright bush, and is the variety producing THE largest fruit. 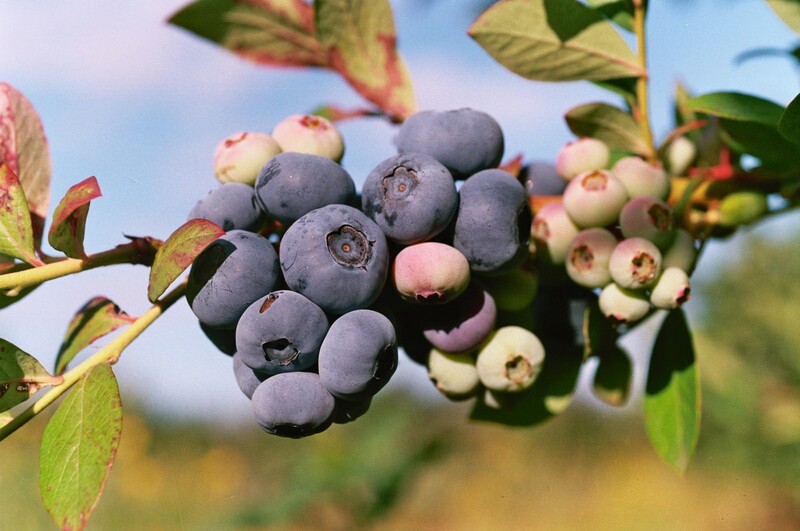 Its berries are both flavoursome and very attractive, remaining a good size throughout the harvest. The ripening period is very staggered and several stages of harvesting are required to collect the entire crop. These characteristics make the Chandler variety an ideal choice for growing “pick-your-own” fruit. The Legacy is an upright, vigorous and spread-out bush. It is a “warm blooded” variety, and only partially loses its leaves in our climate (Angers, France). It has many qualities, including a high yield of fruit which ripens within a short period of time. 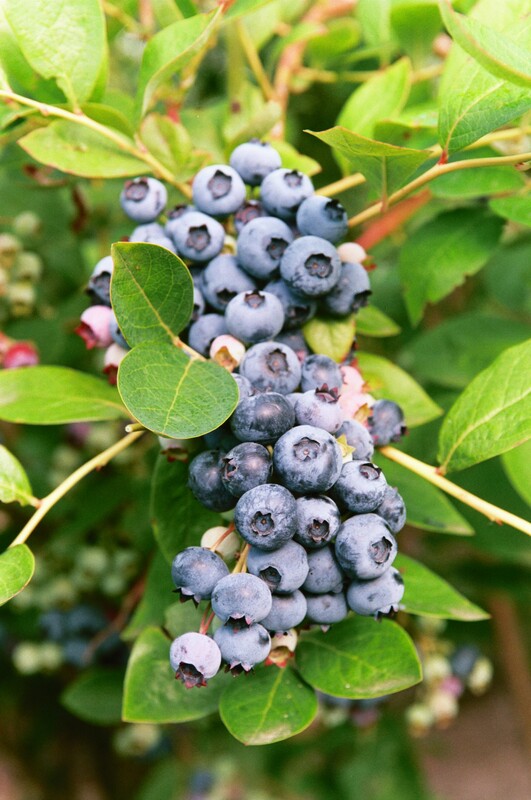 The berries are medium sized, light blue and have a good quality flavour. The fruit stay very firm, even in periods of hot weather. Their shelf life is one of the best. 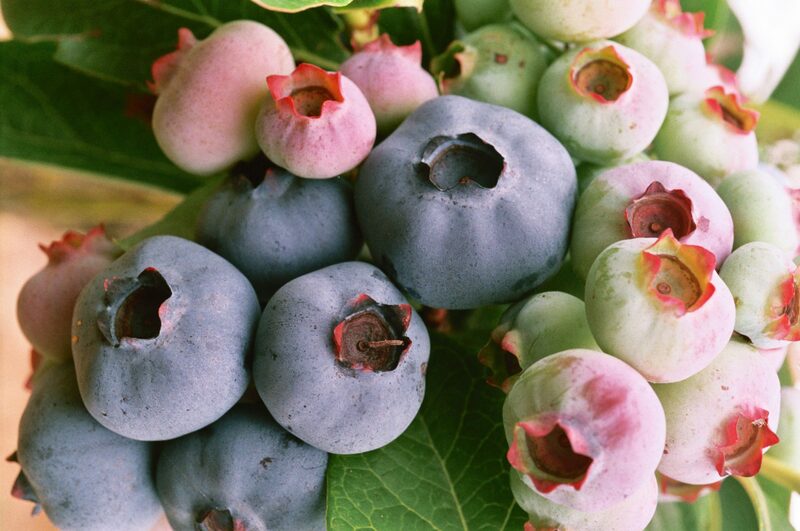 Bluepearl™ is a new variety developed for its ornamental characteristics. It is very compact, with semi-persistent, blue-tinted foliage. It blooms abundantly with flowers in the form of lovely small pink bells. It also produces consistently and its fruit has top-class flavour. It is the first variety with both an equally high quality of fruit and ornamental attractiveness. Because of its compact size, it makes an excellent potted plant for patios. Elisabeth is a vigorous, upright, open bush. It produces good-sized, light blue fruit which is very aromatic. The Elisabeth variety is a late bloomer that we recommend for cold regions. A vigorous, medium-sized open bush and very high-yielding variety. Darrow crops one month after the Bluetta variety and harvest is staggered over 6-8 weeks. The fruit flavour is exceptional, although the size of the berries varies during the ripening season; they are very large at the beginning of the harvest, but diminish in size as picking advances.